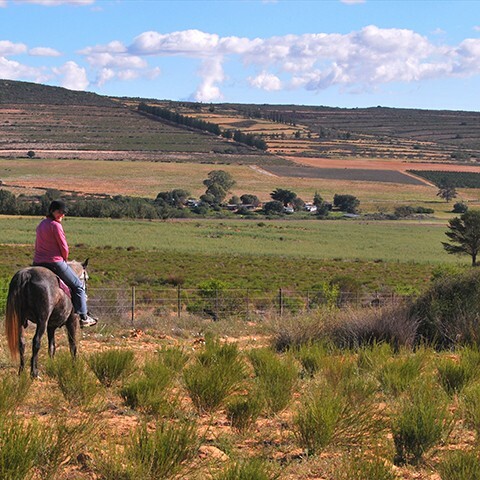 Lucky Horse Trail Rides is lucky enough to have 600ha of lovely outrides to offer through rooibos fields, citrus and vineyards! 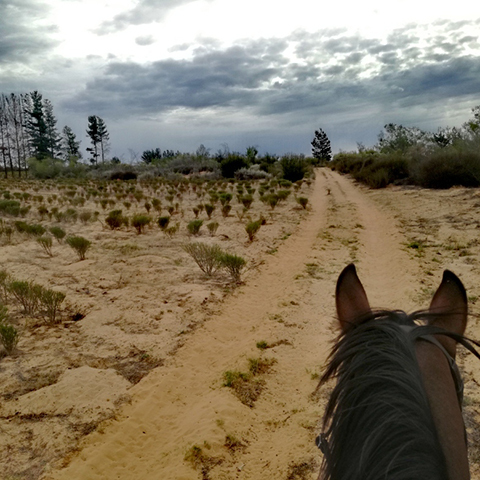 We have a variety of fynbos, wild flowers, bird species and beautiful mountain sceneries to observe through your horse’s eyes. We also offer swimming with the horses – summer only (depends on the weather). 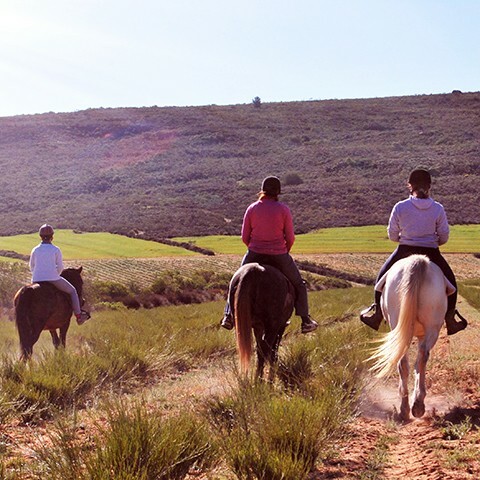 No experience needed, our horses is safe and will ensure you enjoy your experience with us. At this stage we can only take 2 riders at a trail. Trails are led by an experienced staff member. All rides need to be booked at least 1 day in advance.